This is simply the percentage frequency of all the 20 natural amino acids in the protein sequence. For a single protein sequence the vector represents 20 features. This is the percentage frequency of all the 400 dipeptides in the protein sequence. 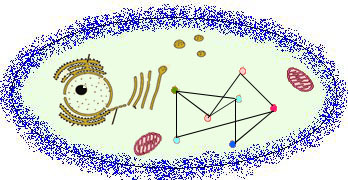 For a single protein sequence the vector represents 400 features. The amino acid residues are classified into six groups based on biochemical similarity. For feature extraction, we consider these 6 classes instead of standard amino acid. So the vector of the sequences has reduced dimensionality compare to vector of the standard sequences. This is the percentage frequency of all the 216 tripeptides in the protein sequence. For a single protein sequence the vector represents 216 features.